Fragrant, delicately sweet - a fruit bowl of summer flavour! 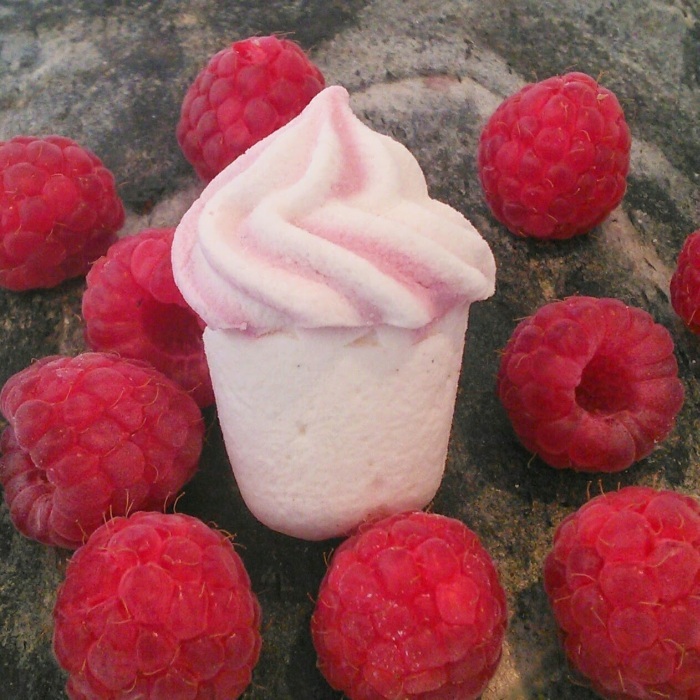 Hand piped vanilla marshmallow with a perfumed raspberry centre. A lovely, gentle marshmallow, not as sweet as our Caramel Delight and with none of the citrus kick of our Lemon Meringue or Key Lime, a good all rounder! DulciBella literally means soft and beautiful- the perfect description for our mallows! Unlike many other makers we only use British grown sugar and golden syrup to sweeten our marshmallows- our mallows are light and delicate, the ultimate melt-in-the-mouth experience. Sugar, golden syrup, beef gelatine, icing sugar, vanilla bean paste, cornflour, natural and artificial colours. Raspberry filling-sugar,egg,butter, raspberry concentrate, milk. egg butter milk Please be aware that all our products are made in a local authority registered home kitchen where the key 14 allergens such as nuts, fish, dairy and wheat are present.